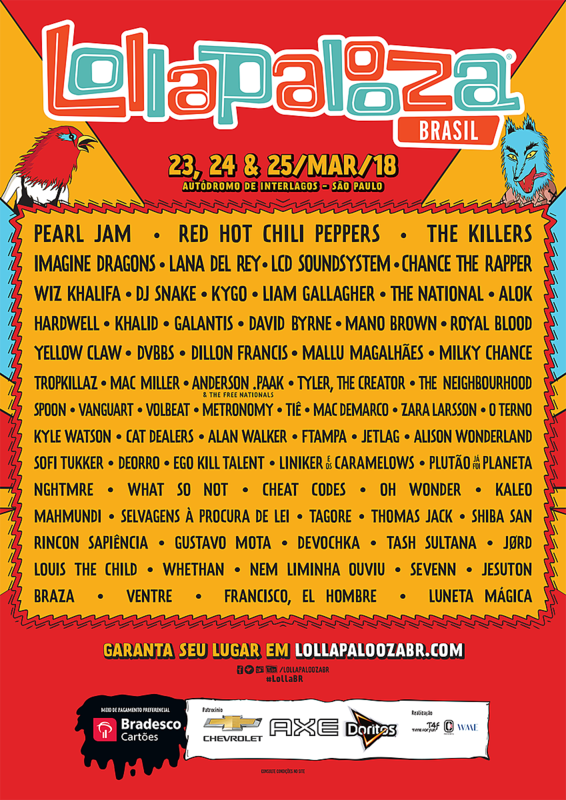 Lollapalooza will have three editions of their festival in South America in March 2018, happening in Brazil, Chile and Argentina. 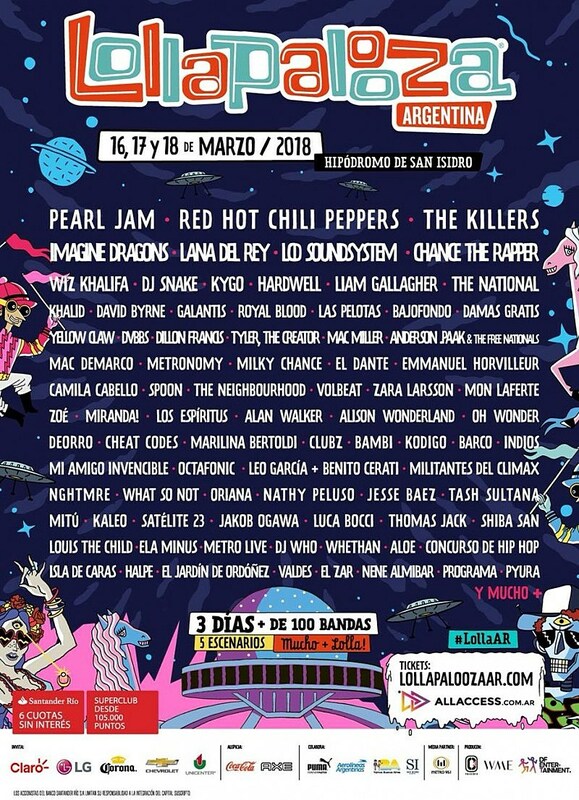 They’ve announced those lineups, all of which have Pearl Jam, Red Hot Chili Peppers and The Killers and headliners, plus Lana Del Rey, LCD Soundsystem, Chance the Rapper, Wiz Kalifa, Liam Gallagher, The National, Anderson .Paak, Spoon, Mac DeMarco, Tyler the Creator, Metronomy and more. 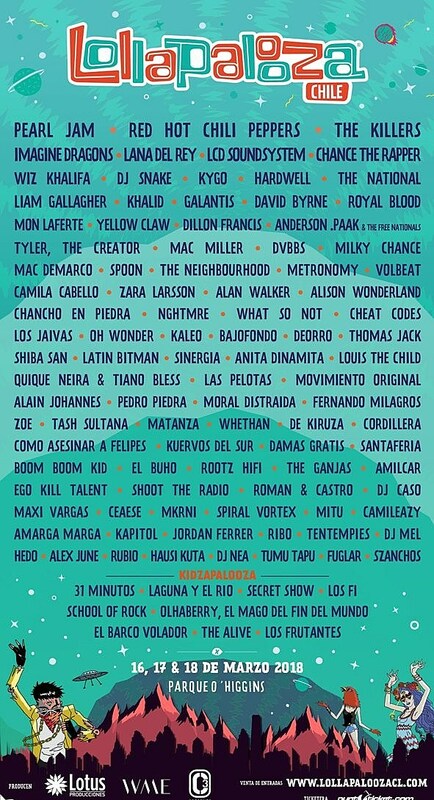 You can check out the lineup posters for all three below. The name that really piqued our interest, however was David Byrne. We know he’s got a new album that he’s been working on with Oneohtrix Point Never (who says we’ll hear music from it soon) and Brian Eno, which has yet to have any formal announcement, but clearly the gears are in motion with these festival dates, which are his only announced shows. Stay tuned.